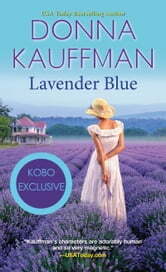 This Kobo Exclusive edition contains a bonus recipe and guide to cooking with lavender! I received an ARC for an honest review. Donna Kauffman does not disappoint! This series has stolen my heart. A beautiful escape to Blue Hollow Falls, most excellent charecters, believable story lines... I could not ask for more! In this book we follow Will's story. He goes from a quiet man who has been a worker bee in the background of the last stories, to the forefront, his confrontation with his past and finding love again. His sine Jake continues to be an amazing part of this story and series. Will finds love with Hannah, a new charecter to the arena. She has dealt with her own tragedies and has fallen head over heels for Will. It did not take long for these to to realize the amazing family they became. That right there melted my heart. I can not wait to read more stories about the people of Blue Hollow Falls who continue to become their own intertwined family. So many to choose from... Who's next?! I vote Chey!! Wonderfully sweet and heartwarming. It's a story of two lost souls who have suffered great loss and are trying to find their way through the grief. Hannah Montgomery has come to Blue Hollow Falls to start over along with three friends. 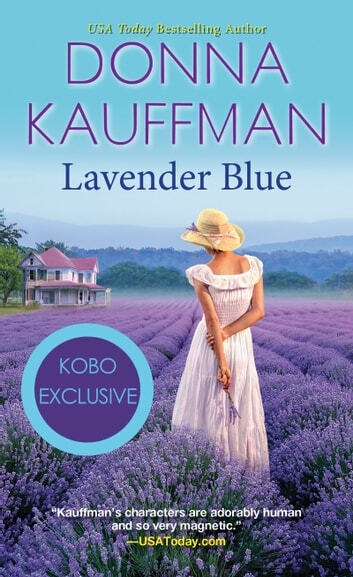 Together they have bought a lavender farm Wilson McCall is working on the farm when he meets Hannah for the first time. He's a widower left to raise his teenage son on his own. It's been years since he lost his wife but he's never moved on. Now Hannah is stirring his heart back to life. These two quickly form a friendship but it's not long before they are both yearning for more. Trusting and loving again may be more than either of them can handle though. Beautifully written with many emotional highs and lows. Don't miss this must read. I highly recommend it. Since Wilson McCall appeared in the first book of this series, I have been dying to know his story. He obviously had some major stuff going on, but he definitely wasn't talking about it. Then he had an unexpectedly emotional reaction to Jake's learning to play the fiddle in Bluestone and Vine. That just broke my heart for Will, and I was thrilled for him to get his HEA. The path to that HEA is very emotional. I didn't even try to count the number of times I had to wipe tears from my eyes in order to keep reading. Given the synopsis, that wasn't a big surprise. The surprise was how uplifting the discussions of loss were -- but in a realistic way, not a patronizing way. Everyone is this book has lost at least one important person, and they all have ideas about dealing with loss to bring to the table. If I had to pick a central message for this book, it would be that those of us who are still living have to find ways to honor and remember those we have lost while we live the best way we know how. Having just lost my mother last year, this resonated with me. Hannah is a new character in the series, and I enjoyed getting to know her. She is very grounded and in touch with herself. She is also very thoughtful and compassionate. I loved her. She is exactly the kind of woman I would love to go to dinner with or hang out with. I also really loved the friends Hannah brought with her into Blue Hollow Falls. Those women are hilarious, and I hope they are getting stories soon. I love this series, and the characters that populate it. I can't recommend it highly enough. A perfect, beautiful, emotional love story!